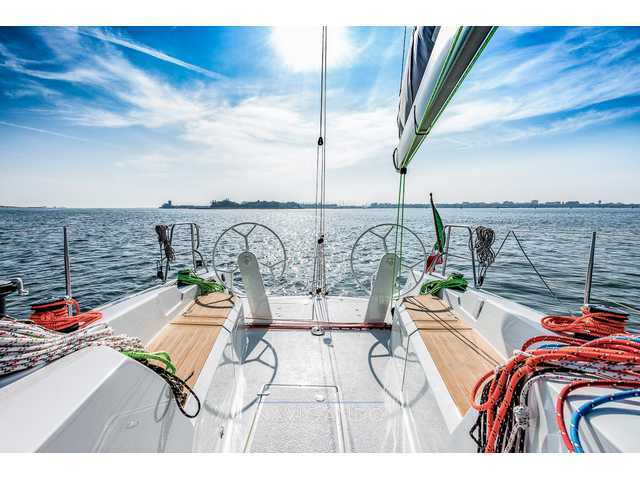 Aluminum mast backstay with system (optional) 6 80:1, winchs Harken, Ronstan Magic wheel forestay PBO, Rod rigging, carbon Bar, retractable bollards, tylaska cunnigam, carabiners. Cruise sails mainsail and genoa. Antifouling in carbon speed. Lead eliptical Festoon bulb. VHF, chart plotter BeG Vulcan 7, wind, Log, ECHO, GPS .3 jumbo allaì tree, two cockpit displays all H5000 B&G, autopilot raymarine barstock. Tutti i dati contenuti nella scheda della Used boat Italia Yacht 9.98 sono stati inseriti dal venditore Navigando S.r.l.